Mushroom fanatics out there: Any idea what causes this? Is there something wrong with these mushrooms? Am I being paranoid because I just read this question? Jefromi's comment is spot on. I wouldn't be paranoid. The stem probably just didn't feel like coming out and hung on the head. This is completely normal and unless you picked these mushrooms yourself, I would never worry about that. Mushrooms are complicated little guys. 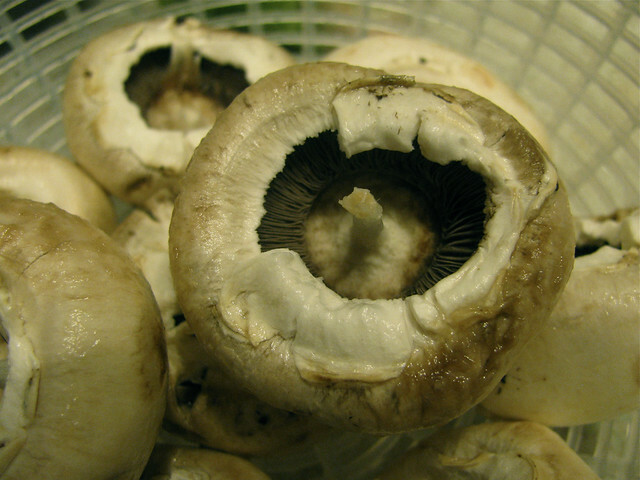 What you see as a single type of mushrooms is actually hundreds of different substrains. Its possible they're from a slightly different batch than what you're used to, and so have slightly different stems. I wouldn't worry about it, and enjoy the mushrooms!